The frenzy around this six year old game is amazing. We already knew that the long awaited debut of Red Dead Redemption on Xbox One’s backward compatibility was going to be extremely popular and well received– in fact, sales of the game apparently went up before the game officially became available on Xbox One, once Microsoft confirmed its availability on the service. But it looks like it’s been even more popular than anyone could have estimated, because right now, Inquisitr is reporting that the game’s popularity has caused such a surge in people attempting to access the Xbox Store, that the Xbox Store is having troubles. Seriously. The store pages for the game still seem to be having troubles, so it seems like there are simply too many people trying to get this game on their Xbox One. 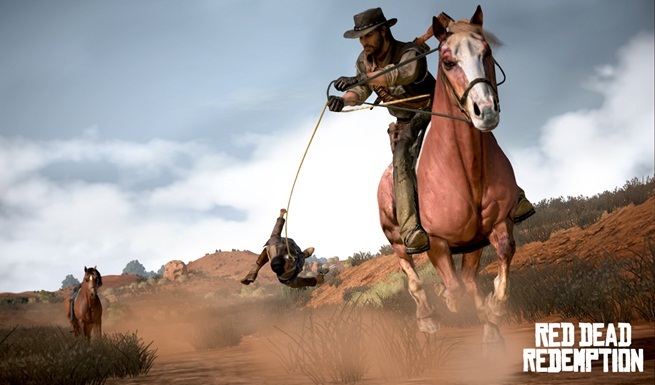 Red Dead Redemption‘s availability on the Xbox One has been another feather in the cap for the triumph that is the backwards compatibility initiative on the Xbox One, and it has been one of the most compelling arguments yet for always keeping the feature around, going forward.